From 2012 to now, it is countless users’enthusiasm to courage us to make great efforts to do better. It is you to accompany us through 2 years of ups and downs. You have give us much valuable advice in the developing process, to inject vigor into xCloud growth. 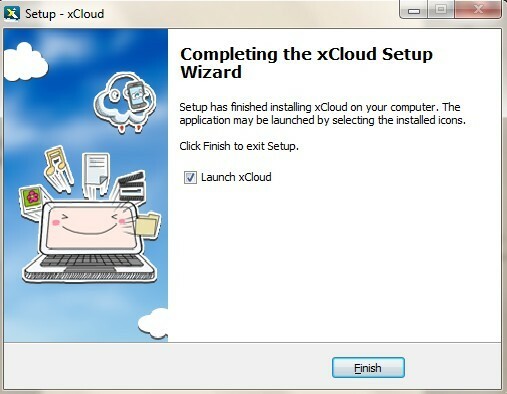 Today, xCloud make a promise that we must live up expectation and devote the best quality product to all users. Now xCloud just support three language: English, Simplified Chinese and Traditional Chinese. However, If you are neither Chinese nor English, and your computers’ Windows language also not Chinese and English, you may be have problems when install xCloud in your PC in first time. 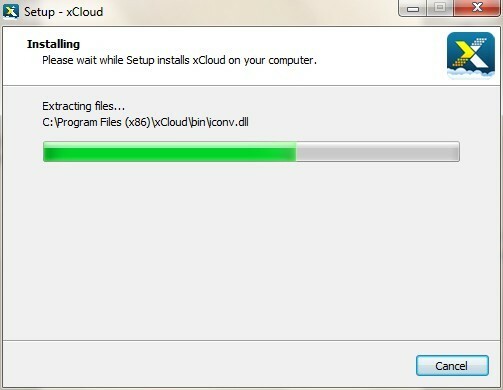 Because xCloud can’t auto-identify your system’s language, and Chinese installation assistance interface will pop out. Our tech teams have received this problem and we will study out one best solution in the future. Before our best solution come out, there are two ways to solve this trouble. Please change your Windows’ system language into English, Because xCloud is auto-identification for choosing language. When your computer’s language is English, xCloud will show in English assistance interface automatically. Change language tips: http://bit.ly/13illXC. If you think changing PC’s language is complicated. Don’t worry, we still support another way to complete xCloud’s installation. You just need to refer to following English installation picture. There are all three steps, so it is very simple to do when you look at following three pictures. 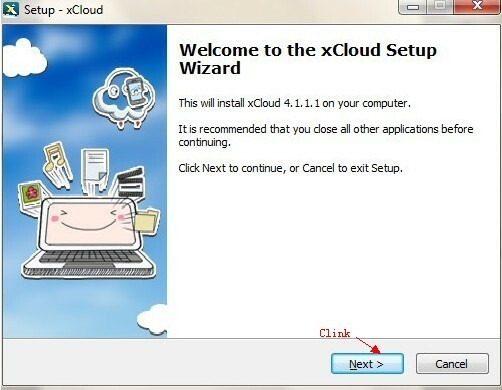 Only if you do like this, it is very easy and fast to install xCloud in your PC devices. Then please start your xCloud journey! 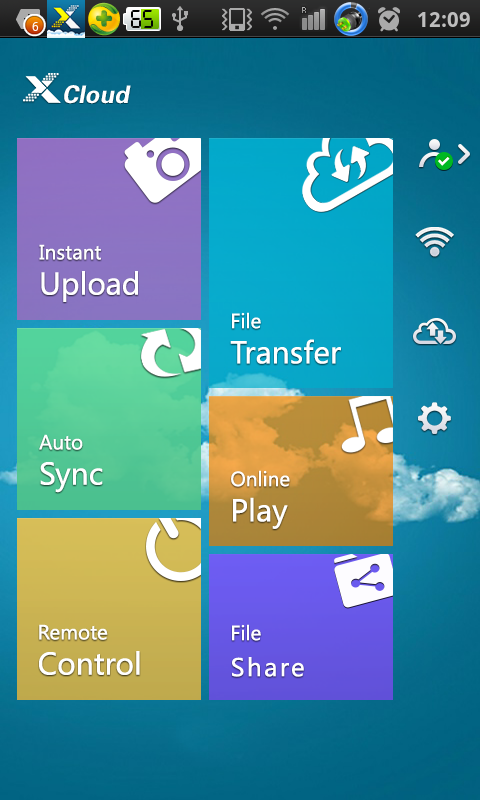 During the two year, we have developed several new functions, such as Remote Control, File Share and so on. We will build more useful and fun features in the future, to make you work happy and have a better life. We believe xCloud will bring new surprises in the short tomorrow, better mobile solutions and high quality service. It comes to transfer files between PC and mobile devices, I believe that for most people, the first answer emerged on their mind is USB cable. 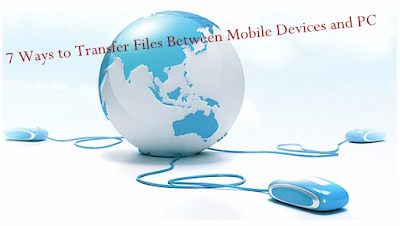 Absolutely, you can transfer files between PC and mobile devices via USB cable, while with the development of society and technology, transferring via USB cable isn’t the best choice anymore, there are many great ways to transfer files between PC and mobile devices, they are convenient and fast. Next, we will talk about those nice ways to transfer files between PC and mobile devices. We have to admit that it is the earliest way to connect our mobile devices to our PC, we just need to plug the micro USB into the corresponding interface of your PC and insert another interface into your mobile device, then you can upload photos, music, videos and other files to your PC, or download files you like to your mobile device. It is the most traditional way to transfer files between PC and mobile devices, and the USB cable is indispensable, if you want to transfer files, you have to take this line with you, or you can’t transfer. If there is something wrong with your USB cable or the USB interface of your PC, it isn’t available, either. When we get a new mobile phone, normally, it is equipped with a memory card or it support for installing a memory card. 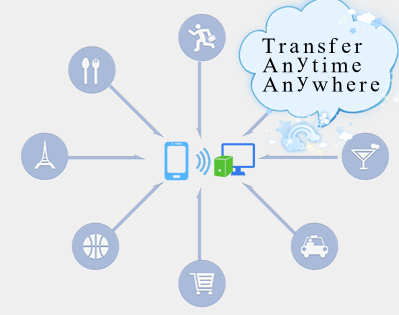 Therefore, if we want to transfer files between PC and mobile devices, we just need to purchase a card reader, then connect it with your mobile chip, then you can upload or download files you like. Then we started to use Bluetooth to transfer files via Bluetooth. As far as I remember we share music or nice pictures with friends via Bluetooth, but still used USB cable if we wanted to transfer files between PC and mobile mobiles. Then when the PC also was fitted with Bluetooth, we started to transfer fillies with Bluetooth. However, it requires that we should stay close to our PC, generally less than 10 meter, or they can’t find each other. When your PC and mobile devices are enjoying the same Wifi network, you can transfer files via wifi file transfer. It is essential to make sure that your PC and mobiles are connected on the same Wifi, or you can transfer files between them. We have to admit that Email also is a nice ideal to transfer files, we just need to send an Email with files we want to share. For example, if there are some nice files I want to upload to PC in the mobile phone, I can send an Email with those files on the phone, then I log on the PC and receive this Email, then download those files, now they are in my PC now. Compared to the four ways mentioned above, Email has a lot more flexibility than them, our PC and mobile phone needn’t stay in the same place or connect on the same wifi. While those files you upload to Email can’t be there all the time, they have an expiration date, so download them as soon as possible. Network disk is similar to Email in terms of the ways of transferring files between mobile devices and PC, both of them transfer files by uploading files to third-party storage providers and then download them to your mobile devices or PC. Some storage providers do great in storing and transferring files, such as, Skydrive, Google Drive, DropBox, Box, iCloud, etc. You can register an account on their page and upload files to your online storage, then download to your PC or mobile devices. It requires that you should have a good internet connection. In order to differ them from the next one we will talk about, so I call network disk Pubic Cloud Storage, because they are third party storage, which offer storage space for all the users. I don’t think you still trust Google, Facebook just like before when you know Snowden Case. Therefore, many people will take private cloud storage into consideration instead of public cloud storage. Because of a lack of trust, we don’t want to transfer files through third parties any more, at this moment, we will think if something helps us transfer our files between mobile devices and PC directly without any third party attending, and we can transfer files anytime and anywhere without gap in time and distance, it would be perfect. I can surely say that some Apps really can do it, for instance, PocketCloud and xCloud. Just take xCloud as an example (because I don’t know how to set up PocketCloud). 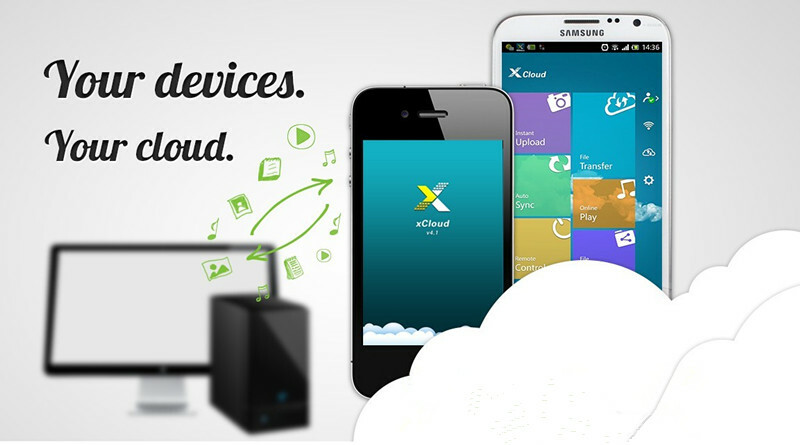 xCloud is designed to transfer files between PC and mobile devices anytime and anywhere. 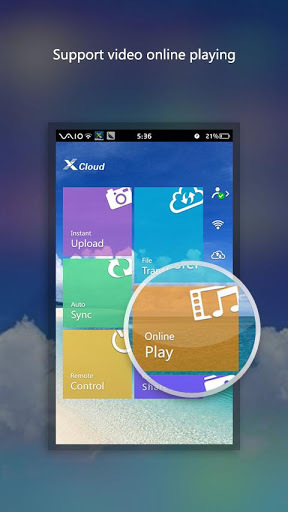 In other words, with the help of xCloud, we can directly transfer files between PC and mobile devices, moreover, you can play the music or videos from your PC on your mobile devices, even easily share some files with your friends. However, my favorite feature is Instant Upload, it can upload your photos to PC once snapped, most of us like to use our mobile cell phone to record our life, so there are a variety of photos in our phone, and xCloud can help us upload them to PC in soon. Now, we have listed seven ways to transfer files between mobile devices and PC, if you know some other ways, you can tell us by leaving a comment. Your Public Cloud Maybe Is Being Monitored! NSA Prism push data safety problem into eyes of the public, we should give attention to data transmission and storage safety in the big background of cloud computing. In the past, we just have estimated some system or device, however, each small data piece accumulates to important information, even disclosure of state secrets. Recently, all kinds of reports related NSA Prism linger in our ears, PewResearch do some investments which show more than half American people understand this monitoring action for anti-terrorist. But NSA scandal means huge heavy hit for the public cloud industry which is in full swing in recent years. Because we have no faith in public storage any more. Especially the enterprise users are worried about their business secrets which can affect company’s advantages. Actually, we are suspecting the stability and privacy for the public cloud storage all the time. Now, the best way is using private cloud storage. “After the exposure of NSA PRISM, hundreds of cloud users call for consulting how to protect data,” the CEO Vaultive from Elad Yoran say. And he also gives some advice that enterprise should attach importance to data safety whenever in the course of transmission or using. If saving data in unsafe data base, all related government departments can review those data without authorization, which will lead to data leakage even suffer a great loss for business secrets. Besides, private cloud storage is the best place for top-secret files. When the public’s trust for public storage went downhill, more and more people realize the advantages of personal cloud, so that comparing between the two clouds plays on important role. Then what is the advantage of private storage? Private cloud regard interior data safety protection as one key considering factor, tend to traditional backup system can continue this way, except for such like Backup Exec have to update compatible level. Private take one high reliability transmission way to protect data safety. 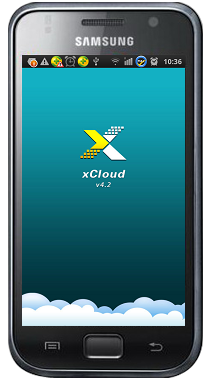 xCloud is one product of private cloud, which adopts P2P transmit method so that there is no the third party server or cloud storage. Your data always is in your computer but other place. Even NSA teams are great talented, they can’t monitor your data except for your admission. Nowadays, public cloud environment is so bad. Choosing personal cloud is the wise decision for your privacy light. Don’t be lazy for saving time shortly！Throw your files into public cloud or the third party storage randomly. In the 21st century, information is money. Especially, enterprise users’ data maybe lead to business failure.